The total weight of my worldly possessions dropped by about 2,557 pounds a week and a half ago: I gave away the 1992 Acura Integra that had become a driveway-bound monument to how getting around D.C. has changed for me. I should have done that long ago: November of 2007, to be exact, when the Washington Area Bicyclist Association had a promotion running with Zipcar that would have yielded $500 in driving credit on the car-sharing service. Instead, what finally pushed me to research my options (I was the “Rob” who sought Greater Greater Washington’s advice) and choose WABA’s current, less generous offer of a year’s free membership was seeing the oil-pressure light come on. Two mechanics told me that probably would require dropping $1,000 or so on a new oil pump, and that the diagnosis alone would cost over $100, and that was enough to end an automotive relationship that began in the spring of 1997. Transportation in Washington was much worse back then. There was no ZipCar, no car2go, no Capital Bikeshare. Bike lanes were vanishingly scarce, protected “cycle tracks” unimagined. No signs or mobile apps counted down the minutes before the next train or bus arrival. The city’s taxis ran on the idiotic and unfair zone system, as interpreted by cabbies who rarely missed a chance to rip me off. App-driven, ride-hailing services like Uber, Lyft and Sidecar were a decade from being possible. What would it take to get somebody with no off-street parking and no need to drive to work to write a check for $9,294.60 to buy a used car? All of those things. And I really did love that car, so much that it took this long for me to accept that I ought to give it up. 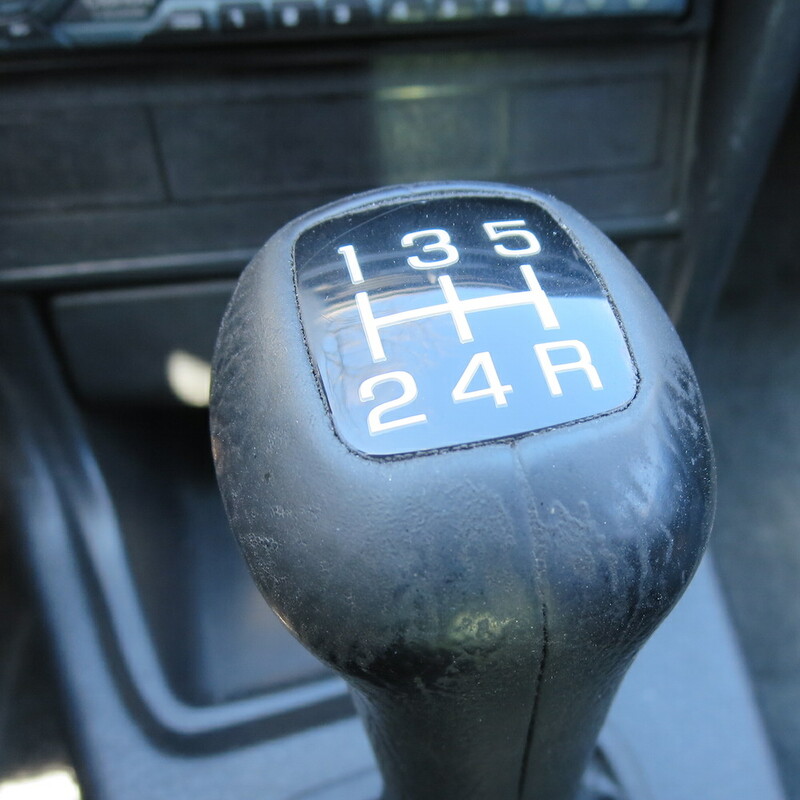 This Integra RS must have been the least luxurious Acura ever made, lacking power windows, power locks or even power side-view mirrors, but it handled great, the stick shift was a joy to work, and that little four-cylinder engine roared delightfully as it neared its 6800 RPM redline. And for a car bought basically for fun, this was amazingly practical. I often beat the EPA highway estimate of 28 MPG and once notched 36 MPG on a particularly blessed tank of gas. And with the rear seats folded down, the Integra could haul almost anything–a full-sized bed frame, a Christmas tree of any size, not one but two bicycles. I babied that car for years, regularly washing and even waxing it, as the photo at right reveals. But then in late 2001 I scratched the passenger side by taking a turn too tightly on the way out of my condo’s garage and decided that I did not need to spend almost $800 to fix the damage. Getting married didn’t really put a dent in my driving habits, but my wife’s problem-plagued Dodge Intrepid blowing a gasket in the summer of 2005 did: The Toyota Prius we bought to replace that snakebit vehicle could carry almost as much stuff as mine, fit into the same parking spaces and got better mileage. And then my wife got a job within easy walking and biking distance, leaving the Prius free for me to use almost all the time. 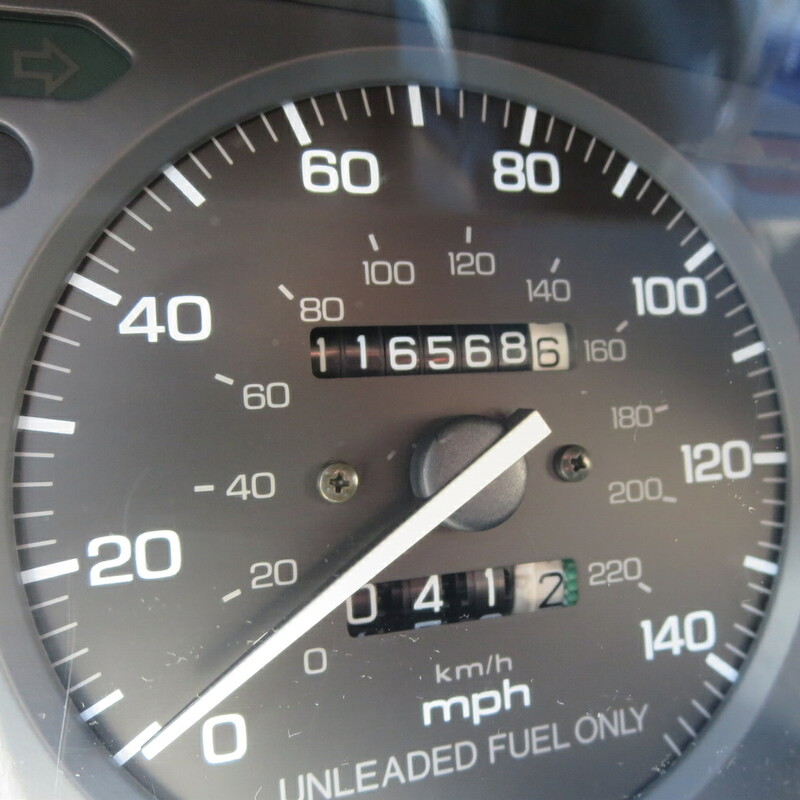 My annual mileage totals went from four digits to three digits–I’d put over 33,000 miles on the Integra by then–to the low three digits. The biggest problem on this incredibly reliable vehicle became having its battery run down from a lack of use. And so after 38,478 miles together, it was time to say goodbye to what is almost certainly the last solely gas-powered car I’ll ever own. A week and a half after I last saw my car–behind the tow truck hauling it down the street–I can’t say I miss the old girl. But I do have one small regret: I forgot to check the coin box when I cleaned out the inside, and I suspect I left a quarter or two there. This entry was posted in Personal, Transportation and tagged bikeshare, CaBi, car donation, car-free diet, car2go, Lyft, Uber, WABA, Zipcar by robpegoraro. Bookmark the permalink. even down to the “did I leave some money” there somewhere? Yes, those Honda products can last a while. I bought a 1990 Accord new, put over 200K miles on it in 21 years (lasted four times as long as my Fairmont), then finally decided to donate it when I learned the “Freon” it required (a) could no longer be manufactured in the US, (b) was not to be had by the service station I’d taken it to, (c) nor could they get it from any of their suppliers. Original engine / clutch / transmission, handled like it was on rails. Since it was still reliably running, I wanted it to go to a charity which could actually use it, but I had a hard time finding one that wasn’t just going to auction or scrap such an old vehicle. It finally went to a needy family via Reston Interfaith, now known as Cornerstones. I tried to replace it with a Fit, but two separate dealers wouldn’t sell me a stick shift. We had the same problem in 2004 trying to replace my wife’s car with a Honda, which is how we ended up with an Acura TSX 6-speed manual. While my 2012 Hyundai Accent hatchback 6-speed gets 10 MPG better than the Accord, and is much more convenient for hauling odd-shaped things around, I only hope it will be comparable in the durability department.